Find the busy roads, and avoid them: Save time and gas by running a Trip History report on MyGeotab for your commute over the course of a few days, modifying your route each day, and finding which takes the least amount of time. As a bonus, you can run a Fuel Usage report to see the average fuel used and fuel economy used during these trips, and see which is the most economical and environmentally friendly route. Use technology to make the most out of your time and make your day as productive as possible. Lighten your lead foot: By speeding, you’re not only making it unsafe for others, but you’re also consuming much more fuel than necessary. 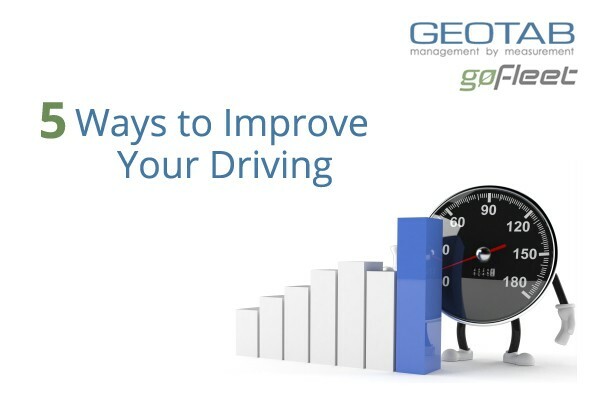 Set up a Rule in MyGeotab to beep your GO7 device when you exceed 6mph/10km over the speed limit. Later, run an Exceptions report with the created rule. You may be surprised at how many times you go over the speed limit unintentionally in your daily commute. Find where you have parked: Whether you have parked on the outskirts of the mall parking lot, or on the other side of town, simply fire up MyGeotab on your phone’s browser, and tap “Maps” and filter for your car. Wherever you last parked will be the shown location of your car on MyGeotab map. As a bonus, it will also tell you how long you have been shopping at the mall (unfortunately it can’t tell you how much lighter your wallet is). Keep your car in tip top shape: Since the GO6 device plugs directly into the OBDII diagnostic port, setup a rule in MyGeotab to alert you whenever the engine light comes on. When it does, you can easily run an Exceptions report, and see which part of your car made the light turn on. As a bonus, set up a maintenance reminder in MyGeotab to remind you of your next appointment for a service, either by specific date or odometer reading. Set geo-reminders: Using Rules and Zones in MyGeotab, create a zone around a place, and set it to automatically send an email to your smartphone (or send a Garmin message if you are using a Garmin device with the Geotab GO6). For example, when you are driving past your local coffee shop on your way to work, setup a rule when entering a zone around it to send a message to remind you to bring in coffee for all your co-workers (bonus if you bring in donuts too).